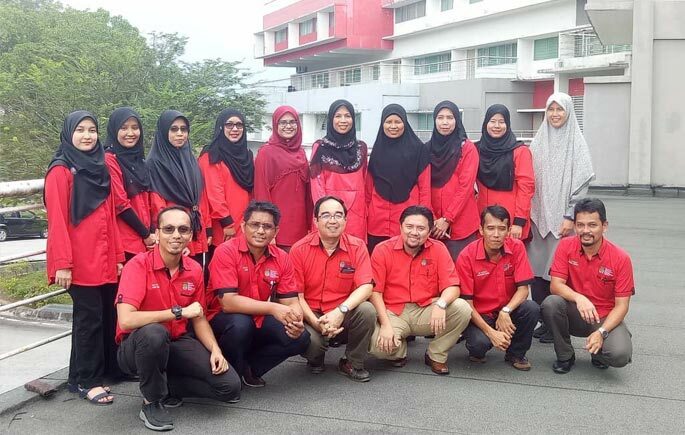 BANGI, 5 October 2018 – Smart and Sustainable Township Research Centre (SUTRA), Faculty of Engineering at and Built Environment (FKAB), Universiti Kebangsaan Malaysia (UKM) receives RM826, 500 research grant from Malaysia Highway Authority (LLM) to run the research about iG-R&R Transformation Sustainable Rest and Service Area. The two-year research was headed by Dr Muhammed Azry Khoiry and accompanied by 20 experienced researchers from SUTRA who have conducted various research inside and outside of UKM. The six components of sustainability to be identified for implementation at rest and service area include waste management, composting, biogas, rainwater harvesting, sustainable building materials and green roofs. It will reduce carbon emissions and reduce greenhouse gas emissions, as well as complementary to sustainability practices recommended by the government. In order to launch this research, a Memorandum of Agreement was signed between UKM represented by the Vice-Chancellor, Prof Tan Sri Dato’ Seri Dr Noor Azlan Ghazali and LLM were represented by the Director General of LLM, Dato’ Sr Aziz Abdullah. SUTRA led by Prof. Dato’ Ir Dr Wan Hamidon Wan Badaruzzaman, is comprised of lecturers from the Civil Engineering Programme, which is the world’s best 100 Civil Engineering & Structure Programme.